Last edited by 1 on Lynchy, edited 0 times in total. 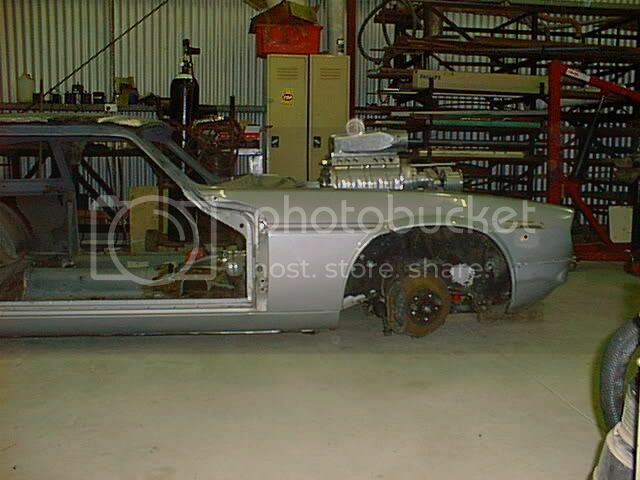 There has been progress on the Shaguar with Big Gaz wielding his mighty 9" grinder and not so mighty 4 1/2" as well. The result is a rather large hole where the rear end use to be and where the trans hump was. This will also mean that the driveshaft tunnel will need to be raised to fit the driveshaft. This will likely be a flat top tunnel with a removable top to aid access to the mechanicals underneath. It will also allow a better platform to mount switchgear on. 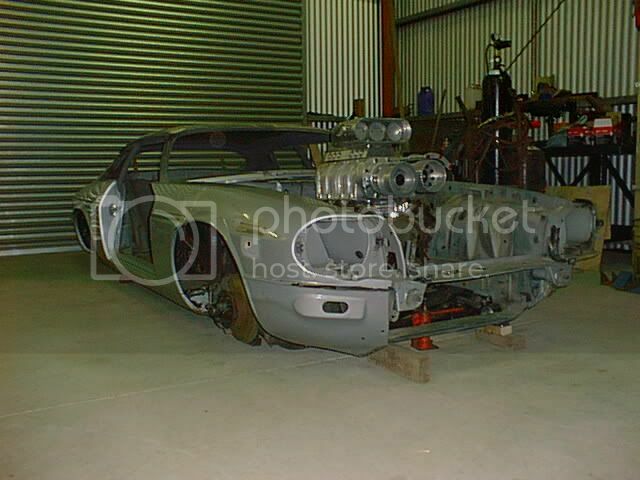 The Jag will sit pretty low so access to the underside of the car away from the workshop will be difficult but jacking plates will be installed on the car to aid lifting it down at the lake. The new MacDonald Bros rear clip has been delivered and is now ready to go in as soon as tube for the cage is sourced. 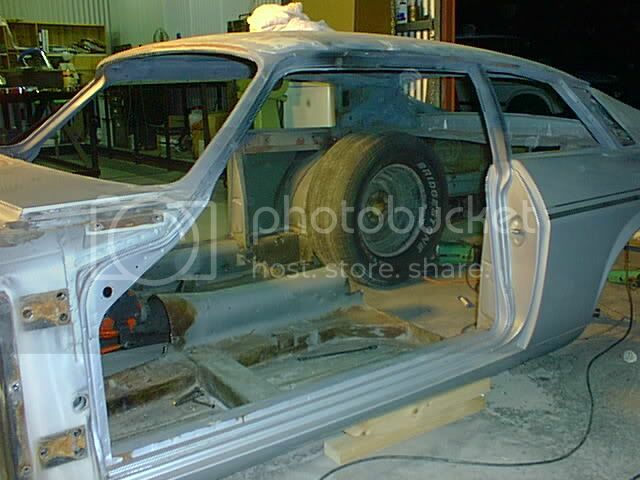 Once the clip goes in then the old wheelwells will be removed and the tubs installed. The new tubs will be about 1/2" to an inch below the rear window and will bulge above the rear parcel shelf. Sort of takes you back to the late 80's and the Pro-street era. New bootlid hinges have been donated by Don Noble from his sacrificial half cut (I beat Matt Saunders to them!!) as the originals will not work with the wheel tubs. 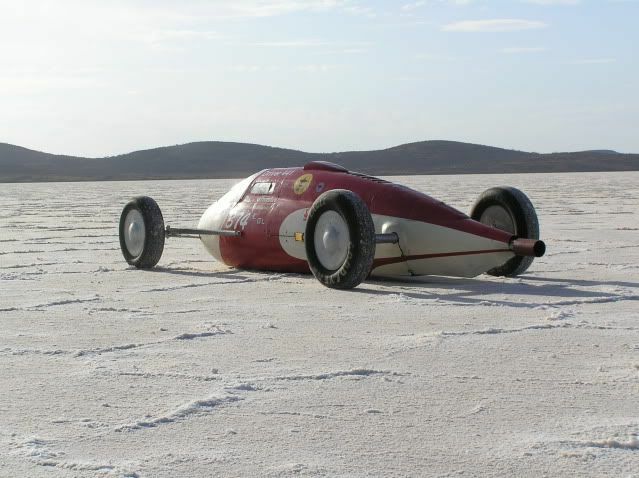 I guess the car is now at the point where it looks as though it will never be ready, but there is still hope that it will be down at the lake in 07 in some form. 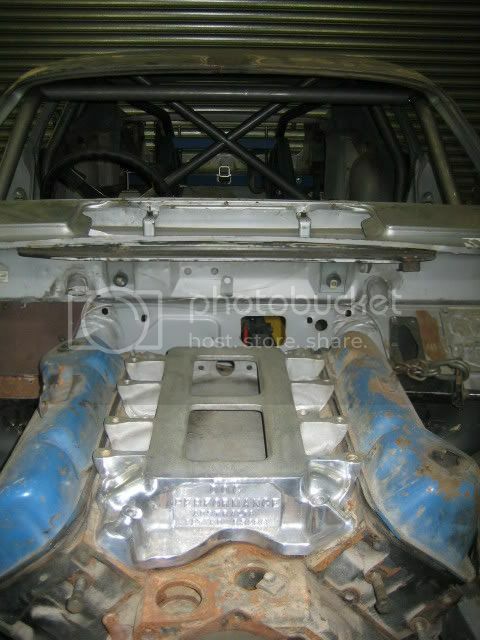 Anybody able to supply 1 3/4" mild steel tube for the roll cage at the right price???? 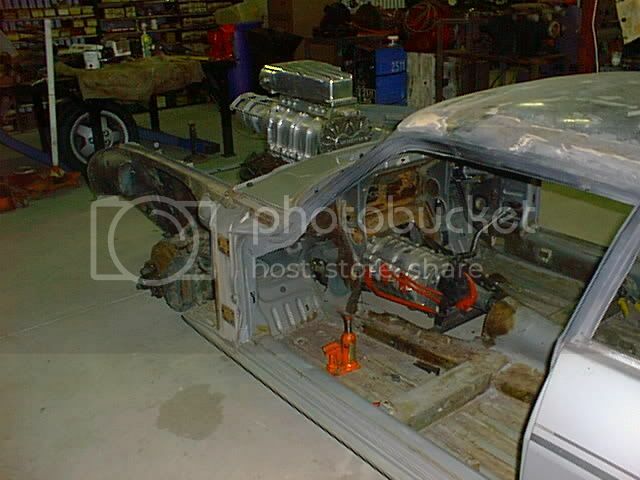 Why didn't you put the friggin' rollcage in while you had the roof off??!!! ??? Hope you can get it back together again for '07. Therefore you truck it home, shop around, and realise that if ever anyone opened a shop with customer service as a value, they would probably do quite well for themselves. Therefore Big Gaz has taken it upon himself to DIY it. It will also help when he gets it down the salt and is accused of being a credit card car builder. Don't you worry. My credit card has taken a whipping since this salt lake racing thing got into my blood. The good news is I can justify anything, and seeing as though my wife is as good with numbers as she is with directions, she still thinks its the school fees that have tipped the card over the edge. Our little secret! The Shaguar is great stuff! 200 club should be easy peasy. we'll never be accused of being "credit card car builders"......they don't give C.C's to three year olds. keep up the good work Gaz,it looks great. Don, Let me guess... except when you're showering, or is that the only time they get a wash? Seriously, Big Paul and I will be bending up the cage this week end with a helpfull young bloke I have come across who builds roundy round cars. His circuit racing expereince will come in handy. Once the cage is tacked up I can start to weld in the rear RHS frame and do the sheetmetal... hey nearly finished!! BP will post some pic's next week. 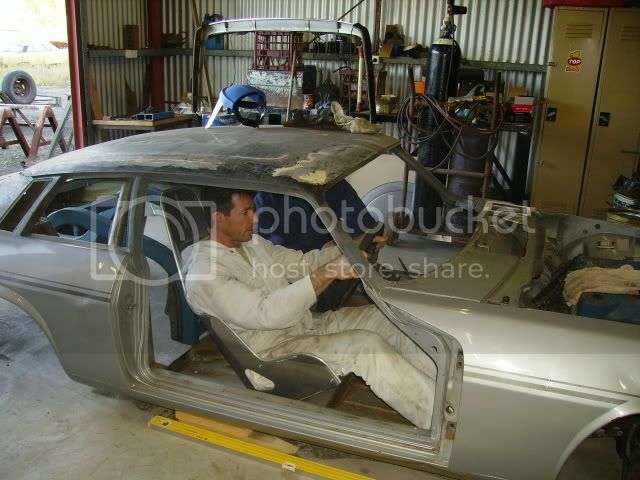 I was down in Sydney last week to help Big Gaz out with the roll cage of the Shaguar. 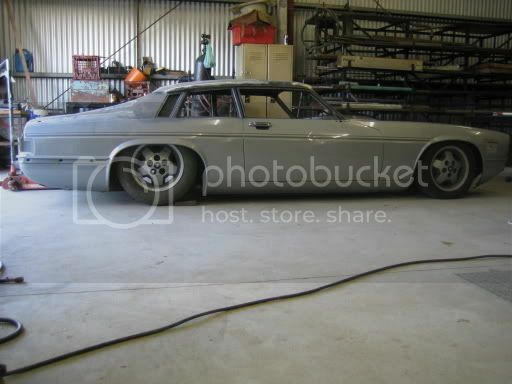 I hadn’t seen the car mocked up at ride height till then and let me tell you it is really @#$%en low! The roof of the car comes up to just under my belly button, or for those who prefer real dimensions 40 inches tall (1 metre). Good for getting out of car parks without paying. The cage in the Shaguar is similar but the bars going through to the boot will differ in that they will join up with the rear clip where it attaches to the body. The rear bars will also be joined to the top of the clip as they will pass directly above (the rear clip is pretty high up in the body to get the rear as low as possible). Craig “The Bender” turned up on Saturday just after lunch. 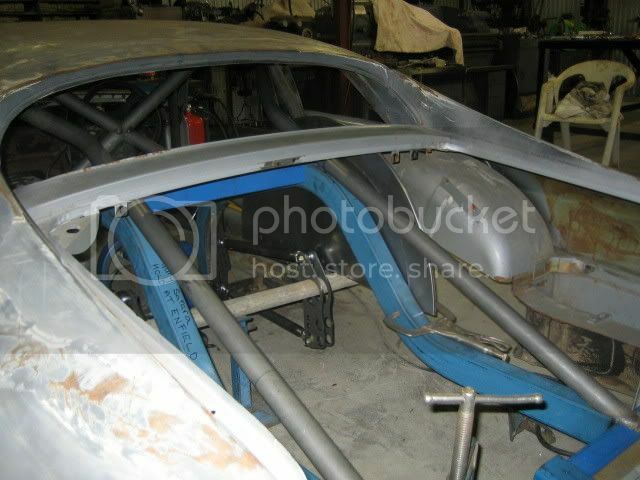 Craig has many years of experience in bending up cages for Sports Sedans and other roundy round race cars. Craig was a great help, he spent probably an hour bending tube and another 5 hours giving welcomed advice. 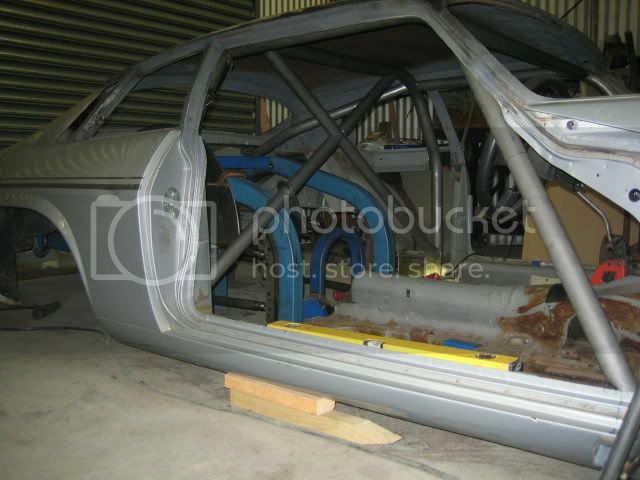 If anyone is after a cage builder in Sydney we would recommend him – and he’s a Ford guy!! Big Gaz has mocked up the driver's seat by sitting it flat on the car's floor and has spent considerable time sitting in it pushing pedals and rotating steering wheel while making engine noises. This has eased his need for speed and helped him work out where switchgear, extinguishers, beverage holders etc should be fitted. A slight problem was encountered where the cage came a bit close to the steering wheel, this will be rectified by shifting the column an inch further to the right – no big deal. The driving position is a little messy with the wheel being a bit left, the pedals a bit right and the seat in the middle. 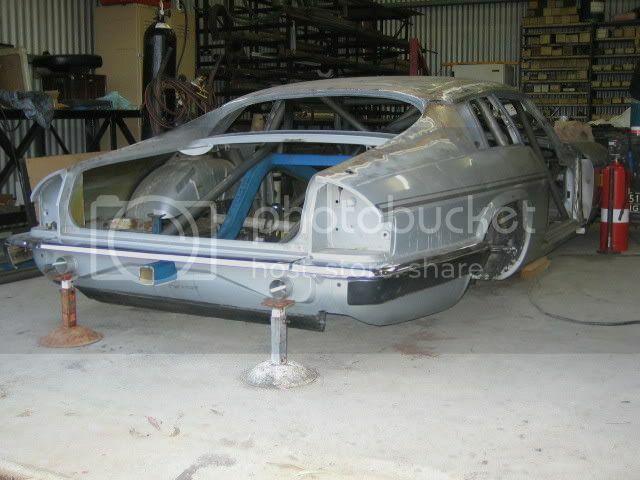 According to Craig this is still a great improvement on the Torana XU-1! An unresolved problem is how to vent fresh air into the cabin but locate the intake in an area where it will not pick up exhaust gas (the pipes will exit from the rear of the front guards - as this is the only way possible due to the car's ride height) or flames if the car does a Hadfield..... Any suggestions will be appreciated. Another potential problem is where the extinguishers will end up being located… They were to sit between the cage’s central hoop and the front of the rear clip, however this area is getting pretty tight and the 4 bottles may not fit (Gaz wants to run 4 bottles. 2 for the engine bay, 1 for the cabin and 1 extra for the boot. 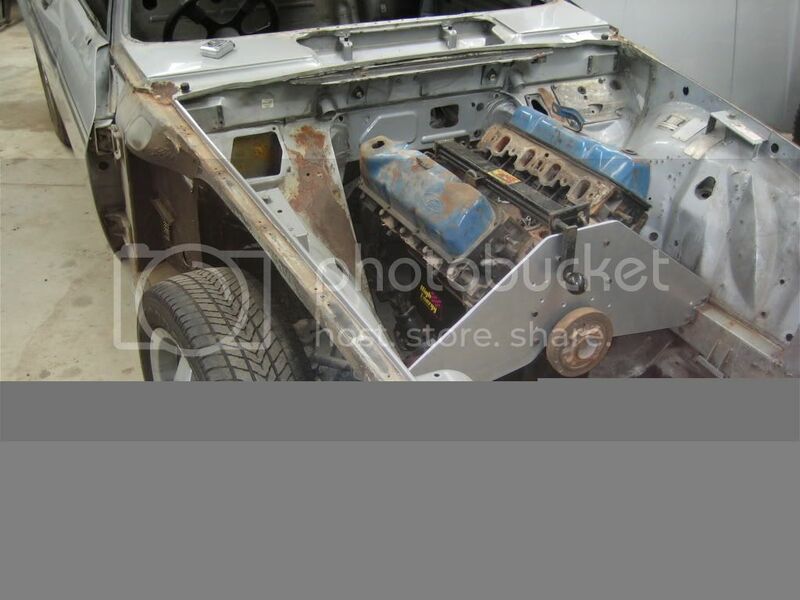 The additional boot extinguisher is in case of a fuel tank fire – the battery and fuel pumps will be in the boot along with the fuel tank and possibly a nitrous bottle…). Gaz is paranoid about fire and wants the car to be as safe as possible, the interior has been gutted and all flammable interior items will not be put back in. The seat will also remain unpadded. I’d suggested mounting the bottles on top of the bootlid and going for a Mad Max look but this would create too much drag. They will probably end up mounted on top of the rear clip. Gaz is trying to keep the passenger side free for a second seat. He wants to be able to take the car to Powercruise and events where you can drive it. The cage is not yet finished, there is still a lot of grinding and welding to be done. The cage will be MIGed as Gary’s TIG is not the right type (AC not DC). 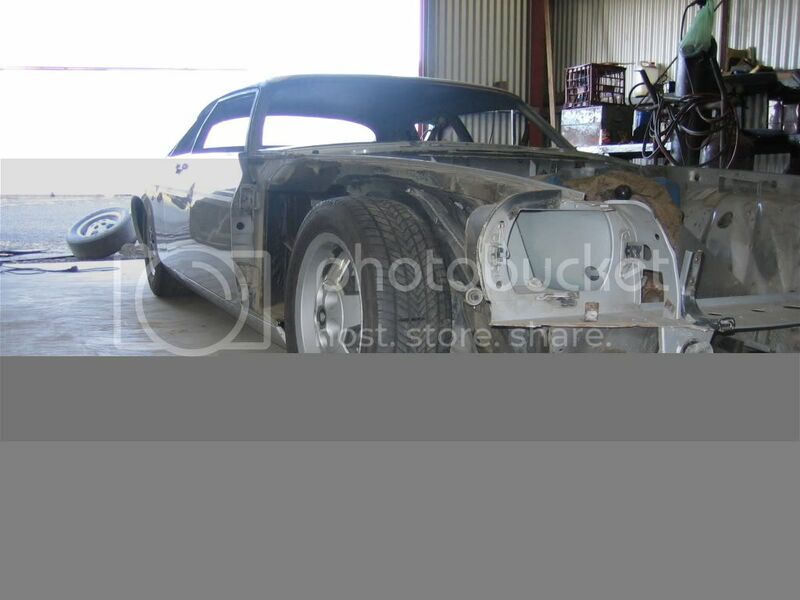 Stay tuned for further build news……. Late breaking news! - Change of plan. I went and bought a new TIG welder on Saturday, I couldn't help myself. As the car is so low I need to be able to lift the car up on a jack so I made up two jacking points under the front door hinge. Basically I holesawed through the sill and will weld in some RHS which will bear on the angle that the front leg of the roll cage sits on. I will use the parachute mount at the back as the third jacking point which should be stable enough. The TIG gives truelly beautifull results, pity I have to paint it! This week end I will continue with mounting the rear clip and cut up the straight pieces of the cage, eg intusion bars, diagonals, rear legs etc. Hey this is fun, fun, fun. What TIG did you get? Quanta costa? It is a Chinese one, and I forget the name of it. I will look on the week end. It is only DC so that means steel only, not aluminium. It did only cost $450 + GST though. My other TIG is an old EMF Pilot arc welder that is AC high frequency. These can be picked up for aroung $700 in that Plant and Equipment magazine. You can see the steering wheel has good clearance from the front bar in this shot, the wheel has been unbolted from it's brackets and has been moved about an inch further toward the centre of the car for hand clearance. It may get moved back if there is plenty of room - but I don't think so. Just detail shots showing bar locations and configuration and you can juuuust make out the half circle that is the side of one of the wheel tubs. 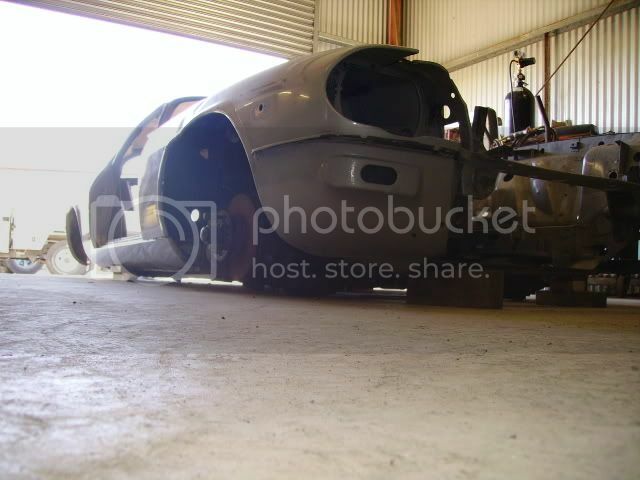 This is not it's final location, it will sit down a little bit lower once notched for the rear axle. It should end up about level with the bottom of the rear side window. In this shot you can see the push bar / parachute mount poking out of the rear of the car looking like a towbar mount. This will also double as a jacking point for the rear of the car as getting under this thing with a jack will be out of the question - did I mention that it is loooooooooow? You can also see something sticking out of the sill at the front of the drivers door. This will be a jacking point for the front of the car - there will be one on each side. 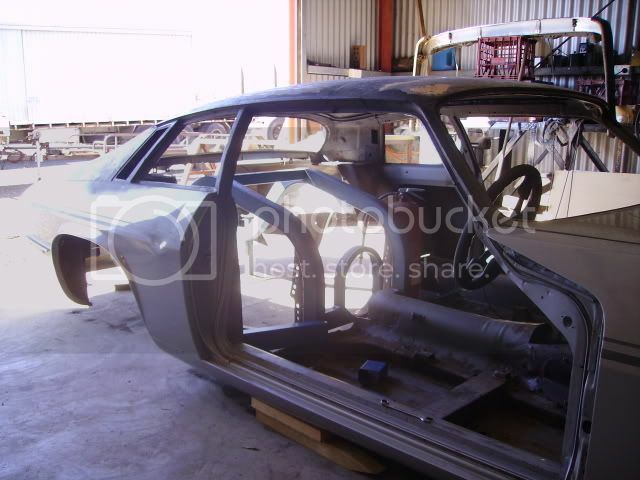 There will be a tube welded into the sill and connected to the rollcage that will allow a pipe to be inserted through the sill and used as a jacking point. This way we will be able to lift the whole car up to work on it. BG has promised more pics soon - he has been working pretty hard on it. I'm gonna take some holidays in October to get down to Sydney to visit and help out and try to destress as well. Last edited by 2 on Lynchy, edited 0 times in total.